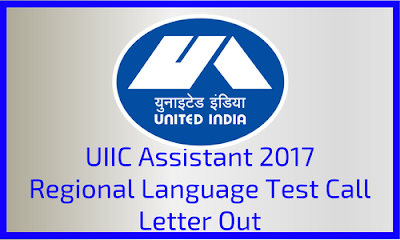 United India Insurance Company Limited has released the call letter for the Regional Language Test for the post of Assistant. The online preliminary examination was held on 22.09.2017 and the written examination (Phase 2) was held on 23.10.2017. All the Best for RLT.